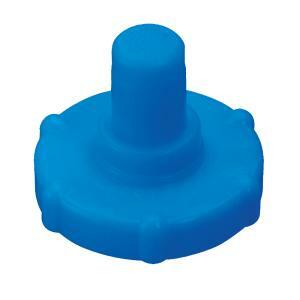 The Blu-Lock 1/2" Auto Drain Valve inserts into the end of your run of Blu-lock 1/2" swing pipe. Allowing water to drain from irrigation lines helps prevent damage in case of unexpected freezing temperatures. Hydro-Rain®offers a new and better way for sprinkler installation. Everything you do from the valve out, you can now do faster and easier with Blu-Lock. With the Blu-Lock system you don't need primer, glue or clamps.